When I first tasted Campari, I hated it. I was furious that I had just spent 30$ on this syrupy, neon-red swill. I poured my first Negroni down the sink, and gave the bottle of Campari to my friend Gualtiero. “Get this out of my sight!” I must have said. My, how my perspective has changed. If you truly want to experience Campari in all of it’s glowing, bitter glory, you should make a Negroni, or its cousin, the Boulevardier, but if you have already strolled down those avenues of flavor, then may I suggest one of my all-time favorites, the Rojo Bianco. Stir over ice, and strain into a cocktail glass. As with about half the drinks I make, I first learned this one on CVS. It tastes just like you think: the Reposado is smokey and vegetal, the liqueurs are bitter, sweet, and pungent, and the vermouth fills in the middle of the flavor spectrum. I really enjoy this one, but perhaps the construction is more interesting even than the flavor. This drink comes close to the 6:3:1 template that I’ve talked about before, but it uses a bit less vermouth, and a bit more liqueur. Moreover, it splits the liqueur down the middle, and you can imagine that if this drink had only Maraschino or Campari, it would be unremarkable. I have found that when you are following this kind of template for an aromatic drink, you can usually get away with splitting any one of the ingredients. Two base spirits, two fortified wines, or two liqueurs all provide the opportunity for creative exploration, but don’t split more than one element in the template. Two base spirits and two liqueurs? Madness lies down that road, my friend. 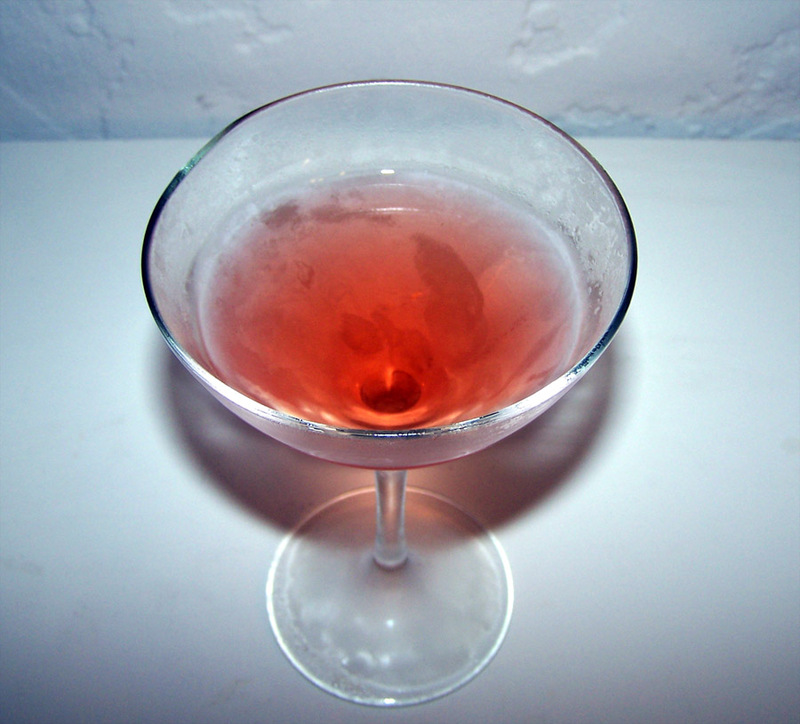 Categories: modern drinks | Tags: booze, campari, cocktail, cocktails, drinking, drinks, dry vermouth, espolon, luxardo, maraschino, mixed drinks, reposado, stirred, tequila, vermouth | Permalink. Great post! Seems like it tastes lovely.